It is time that the Goa government needs to bring out their much awaited Feni Policy. Yes, the wait will be stretched further as the Code of Conduct has been enforced for the upcoming 2019 elections. However, the distillers or the ‘bhaticars’ are eagerly waiting for the Policy. VIKANT SAHAY talked to several stakeholders in the Feni industry to get the feel on how the industry is eager to see the implementation of the Policy. 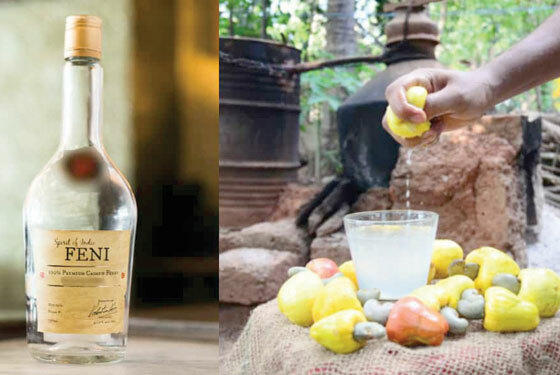 Feni is synonymous to Goa which is not only recognised by tourists visiting the State but also by the local Goans who relish this ‘homemade’ drink, which after several rounds of deliberation with the state government has finally got a status of ‘heritage liquor’. Nearly 1200 persons, who bid the zones in the auction, install the stills and produce cashew liquor in the State. Apart from these, there are around 22 licence holders who are producing and bottling Feni in the State. In addition, there are more than 8,900 wholesalers and retailers selling Feni. However, despite all this we still do not have a Feni Policy. In fact, the draft policy is ready and the government can only take decision on it after the code of conduct for this upcoming 2019 election is over. Even though there is no brand ambassador for Feni from Goa, to give a boost to the industry, Goa University helped drafting Feni policy for standardisation of Feni. The Goa University had submitted that the official Feni Policy relates to the GI in respect of Cashew Feni falling in Class 33 for alcoholic beverages registered in the name of Goa Cashew Feni Manufacturers and Bottlers Association and Department of Science, Technology and Environment registered on December 19, 2007 and given a unique Geographic Identity No. 120. On February 27, 2009, Feni was successfully registered as GI and granted the certificate for registration under the Geographical Indication Act 1999, which fall in class 33 for Alcoholic Beverages and registered under GI-120. The Geographical Indication registry certificate bearing No. 120 was issued by the Registrar of Geographical Indication on March 5, 2009 at Chennai. The Government therefore constituted a committee under the chairmanship of the Commissioner of Excise to chalk a road map for drawing the benefits of the GI and advise in development of Feni. On May 23, 2009, Feni became the first Indian beverage to have obtained the GI status. Initially, only tourists who visited Goa showed interest in tasting this local drink Feni. However, with passing time and word of mouth marketing coupled with development in technology and bottling, many units from Goa are now exporting Feni within India and overseas. Some of the major units exporting this drinks are Cazcar ‘Pent’, Global Spirits & Foods, Todacco Industries, Adinco Distillery, Ansa Industries etc.. No surprise that Feni has also became the first Indian beverage to have obtained the Geographical Indication (GI) status. Another aspect which requires immediate attention is that even though Feni is exported and sold all around the globe, most of the States within India do not allow it to be retailed. Surprisingly, Feni can be exported outside India but not within the country in many states. This is due to the fact that Feni has been categorised as country liquor and the other states do not permit the import of country liquor in their respective States. There are various traditional and social uses of Feni, medicinal practices, cooking and many more aspects associated with Feni, but unfortunately, not recognised outside Goa. A proper Feni Policy will surely help Feni to grow within the country. Hansel added that apart from the GI we took the pains to ensure that the Food and Drugs Administration of Goa cast a special category for Feni which was categorised as ‘other country liquor’ and later got a tag of ‘Heritage liquor’.